The photo of your loved one is featured prominently on this sage green announcement. 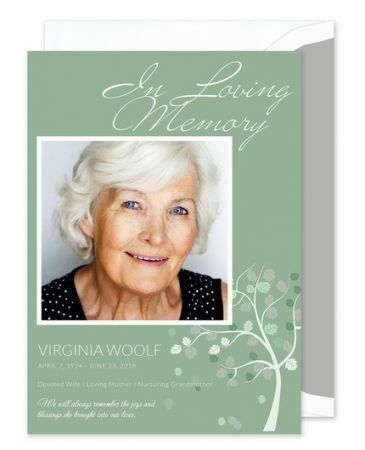 A tonal tree with falling leaves accents the space next to your personalized text and “In Loving Memory” is preprinted in elegant white script at the top. The size of the photo printed on the sample card is 3.28 x 3.42 inches.